You are here: Home / Business / Should SMEs start exporting now? With the South African Reserve Bank (SARB) having revised its economic growth outlook to 0.6% from 0.8% for the year, it is evident that the economy will continue to contract. For SMEs, this means that doing business will be even harder as profit margins get squeezed and consumers start cutting back on spending. 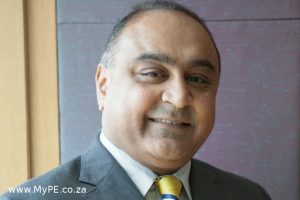 “However, this may also be the perfect time for small businesses to expand their offerings to foreign markets, in order to grow, while diversifying and minimising the risks of a weakening domestic economy,” says Bobby Madhav, Head of Trade and Collateralised Trade Finance at FNB Business. Notwithstanding the challenges associated with exporting, there are many benefits for SMEs that can get this right. Madhav says the common question that SMEs often ask is ‘when is the right time to start exporting?’, the simple answer is now; considering that the entrepreneur has a solid business concept and management structure, consistently grows revenue and is ready to expand into new markets. Furthermore, size should not be seen as a barrier. Any business, big or small, with the right product or service offering, can succeed in the export market. Incentives – the Department of Trade and Industry provides a number of incentives and assistance to businesses that want to start exporting. This is to encourage businesses to grow and further contribute to the economy. Innovation – breaking into the export market is not as easy as it seems. Each country has its own risks, challenges, limitations and barriers. Therefore, SMEs cannot just replicate a model and expect to succeed. Products and services have to be tailored to suit the respective markets. This not only encourages entrepreneurs to reinvent themselves and innovate, but also helps to improve efficiency throughout the business. Access to new markets – when SMEs have reached saturation in the local market and are no longer growing as expected, exporting can expose them to new and untapped markets, helping their businesses to generate a new revenue stream. Also, the power of the internet now enables SMEs that offer niche products to reach new customers all over the world. Competitive edge – as the small business grows and gains more experience in dealing with foreign market risks and challenges, it matures and expand its product offering, thereby giving it a competitive advantage over its local rivals. Profitability – SMEs servicing foreign markets can significantly reduce operating costs as the business produces more goods in bulk. This contributes to the overall profitability of the business. “In order to become successful exporters, SMEs must first overcome start-up challenges and establish their businesses locally. Only then can the entrepreneur consider venturing into foreign markets in order to grow and scale,” says Madhav. Moreover, expanding into foreign markets should be considered a long term commitment. It may take a while for a first time exporter to break even and start generating profit. “SMEs that want to take their businesses to the next level should definitely consider the export market. It is only through growth that SMEs can make a meaningful contribution to GDP and further help the country to reach its National Development Plan (NDP) goals to create an estimated 11 million jobs by 2020,” concludes Madhav.